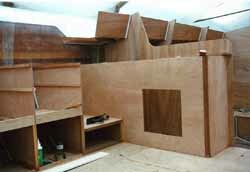 All major elements of the internal structure - bunk berths, cabin seating, floors, cabin sole, navigation area, galley, engine box and lockers - are being fabricated from half-inch (12mm) marine ply (doubled-up and epoxied together where additional strength is needed) and bonded into the hull in exactly the same way as we built-in the bulkheads. 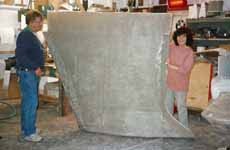 As a result the entire hull will be an immensely strong monocoque, with every component acting as a structural member - a great way to go about building a wooden boat! 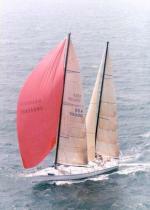 Alacazam's design brief was for a reasonable quick long distance sailboat, easily maintained and handled by a cruising couple. 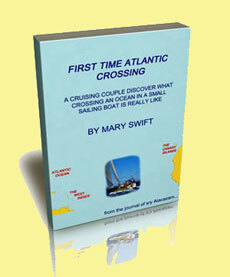 At just 38 feet (11.5m), space would be at a premium and would have to be used wisely. 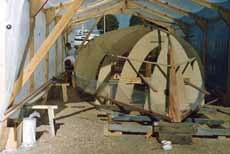 A second pair of water ballast tanks were built under the sole to the galley/navigation area, giving a total of four ballast tanks each of which we'll be able to transfer water to and from to suit either tack, as well as transferring it from one side to the other. Between this pair of tanks is the space below the cabin sole where the rigid plastic tanks for fuel and the non-ballast drinking water tanks will be installed. On the port side the galley is taking shape, incorporating a generous worktop area and plenty of stowage both below and outboard of it for cooking utensils, pots and pans and all the other culinary paraphernalia. We made sure there'd be plenty of swinging room for the two-burner gimballed gas cooker with hob, grill and oven, and space for a well-insulated top opening fridge and a double sink unit. 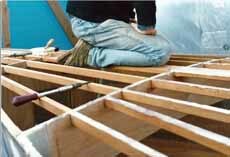 On the starboard side a stand-up chart table is under construction. We chose this configuration so that we could have a pilot berth extending beneath the chart table where the other crewmember - even when fully clad in his/her foul weather gear - could take a quick kip and still remain within shouting distance of the cockpit. Below this berth is a three chamber storage locker, two of which are for tinned and packaged food and the other for my fishing gear. Outboard of the chart table there is a long and deeply fiddled shelf for navigational books and other assorted stuff. 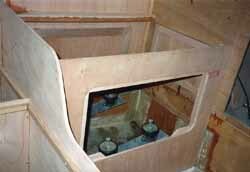 The heads is accessed on the portside of the companionway steps, and comprises a sea toilet, a wash basin and a stowage space for toiletries. There's full standing headroom, which is good news for us blokes. 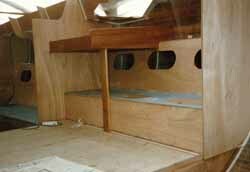 From here you can access a large walk-in storage space under the cockpit - the Bosun's Locker, we call it. This contains all manner of sailing gear - hanging space for foul weather gear, warps and fenders, inflatable dinghy and oars and so on. 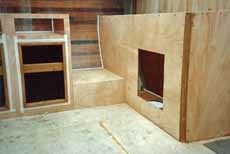 A gas bottle locker is built in here, with an airtight door and top and bottom vents to the outside of the boat. 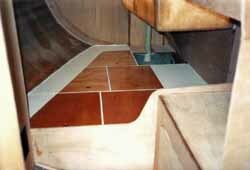 This takes up two-thirds of the space under the cockpit, the other third taken up by the bosun's locker. 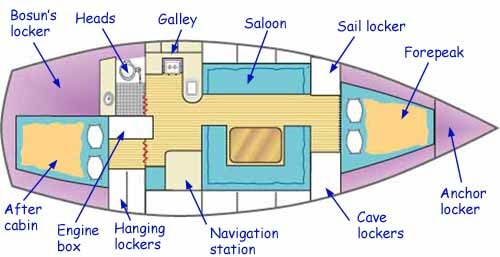 The space below the berth is divided into a number of individual lockers, one of which is for the boat batteries and the others for the tools, spares and equipment that all cruising boats must carry. Forward of the double berth to the starboard side is a hanging locker for cloths, and a number of cave lockers for all the other items of clothing that aren't made for hangers. 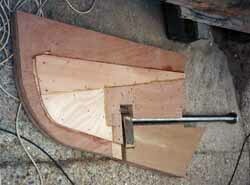 Opposite the hanging locker on the centreline of the boat is the engine box, where the bearers have been bonded in and the flexible mounts fitted. 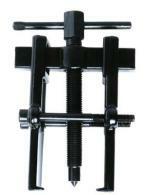 Both sides, the front and the top are all removable for good access for maintenance. Directly above the engine, aft of the main hatch is a removable panel, through which we can lift out the engine if necessary. Note that all those ugly plywood edges will soon be capped with some very smart cherry trim. 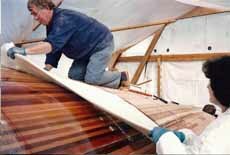 But why go to the bother of building your own boat?